Consider how the night sky has influenced life on Earth. What have the darkness, the stars, and the moon helped create? You may initially picture the constellations and the myths explaining them. Or maybe you think of astronomy, which works to uncover the mysteries of the universe. Perhaps you recall poems and paintings that capture the night's spirit. Art and science have always been inspired by the night sky, but they only reflect an influence on human life. The night impacts more than humans. Half of the world’s species have adapted to thrive in the dark of night. We are familiar with some of these adaptations: bats locate their prey with an echo, owls evade detection with silent wing beats, and cougars use impeccable night vision to see us before we see them. But what if the night wasn’t dark? Wildlife wouldn’t need those adaptations if the universe were infinite, eternal, and unchanging, because unlimited starlight would make the night bright as day. Astronomers found the answer to this riddle: the universe is not eternal. We only see a portion of the existing stars because the rest of the starlight hasn't had enough time to reach us. The pinpricks of starlight that do appear in our night sky have also shaped Earth’s species. In 1967, Stephen Emlen proved songbirds chart their migration paths using the stars. He placed migratory songbirds under a planetarium and altered the projection of the night sky. The birds always hopped towards the North Star. Recently, scientists discovered dung beetles use the Milky Way to find their way home. We know of no other animal that uses this feature to navigate. The most prominent feature in our night sky also has the most pervasive impact. Our moon exerts a significant gravitational force on Earth. Without the moon’s tug, the earth’s axis would wobble by 10-20 degrees over half a billion years. These shifts would occur so gradually that life could adapt. Yet a shift of only 1-2 degrees could have caused the ice ages. Imagine how dramatic Earth’s history could have been without the moon. All creatures can thank the moon for stabilizing the earth's tilt and seasons. The distinguishing features of the night have inspired humanity's greatest discoveries and artworks. But the night's darkness, starlight, and moon have changed all living things. Without a doubt, we would not recognize Earth's creatures without them. 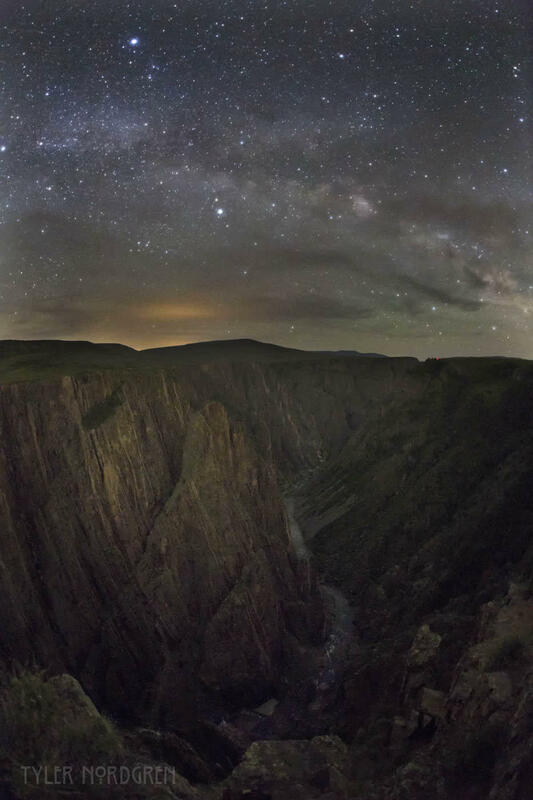 You’ve been listening to Western Slope Skies, produced by members of the Black Canyon Astronomical Society. This episode was written and recorded by Park Ranger Molly Pittman of Black Canyon of the Gunnison National Park. For more information on Black Canyon ranger-led programs, visit: www.nps.gov/blca/planyourvisit/calendar.htm.